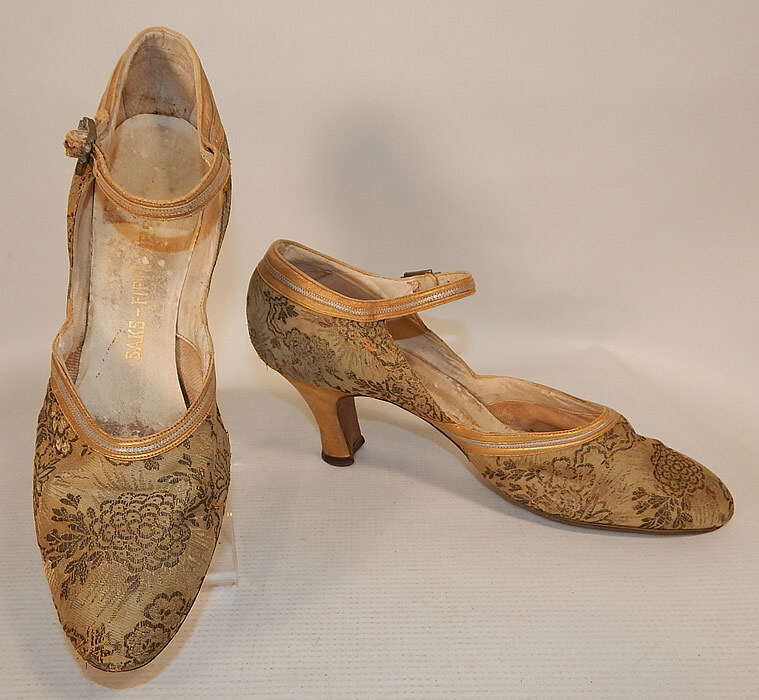 This pair of vintage Saks Fifth Avenue Art Deco gold silver leather lamé brocade flapper shoes date from the 1920s. 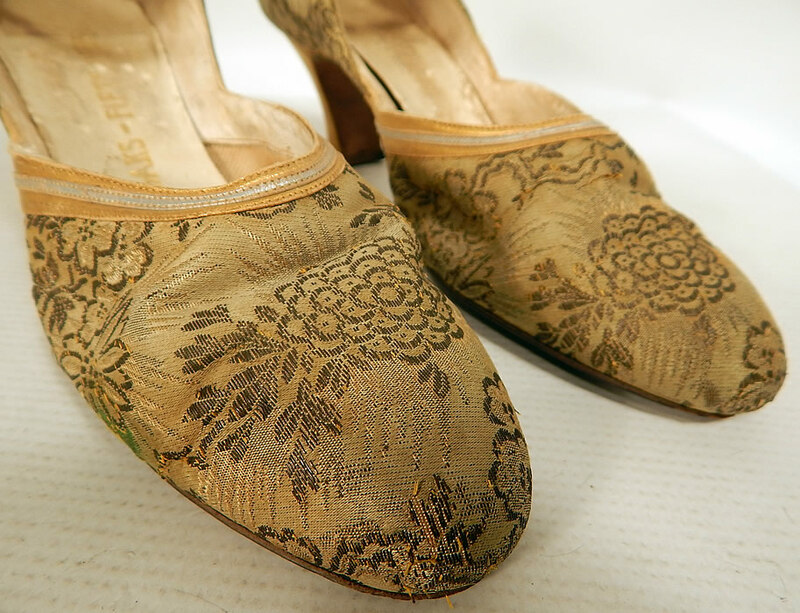 They are made of a gold lamé silk damask weave brocade fabric with a woven floral pattern design and gold, silver metallic leather trim edging. These fancy flapper evening shoes have an ankle strap style, with an adjustable yellow rhinestone Art Deco silver buckle closure, rounded toes and gold leather covered French spool heels. 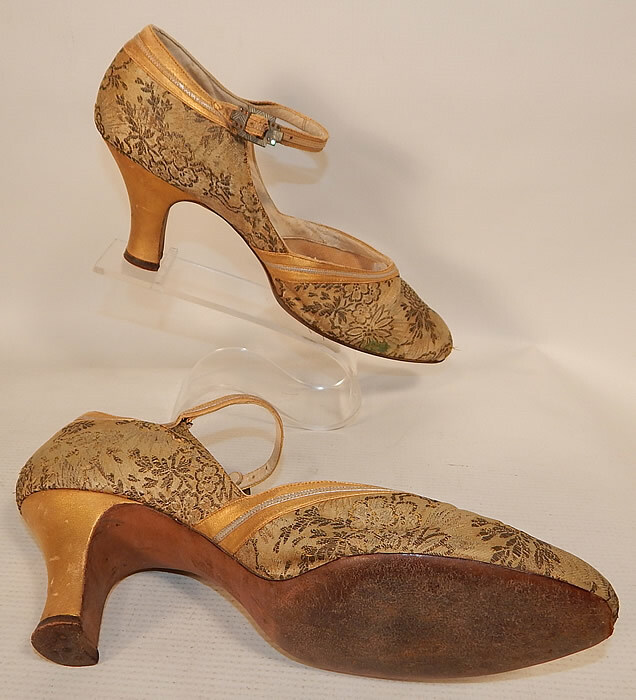 They have a "Saks Fifth Avenue" gold embossed label inside. 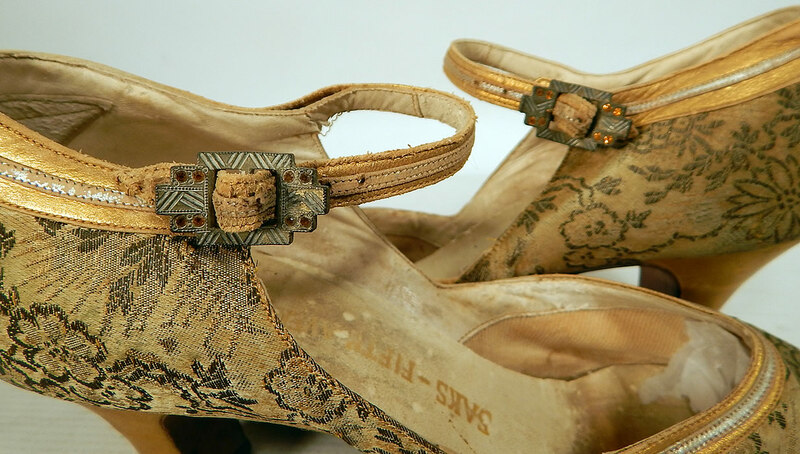 The shoes measure 10 inches long, 2 1/2 inches wide, with a 2 inch high heel and are stamped inside a size 5 1/2 A. 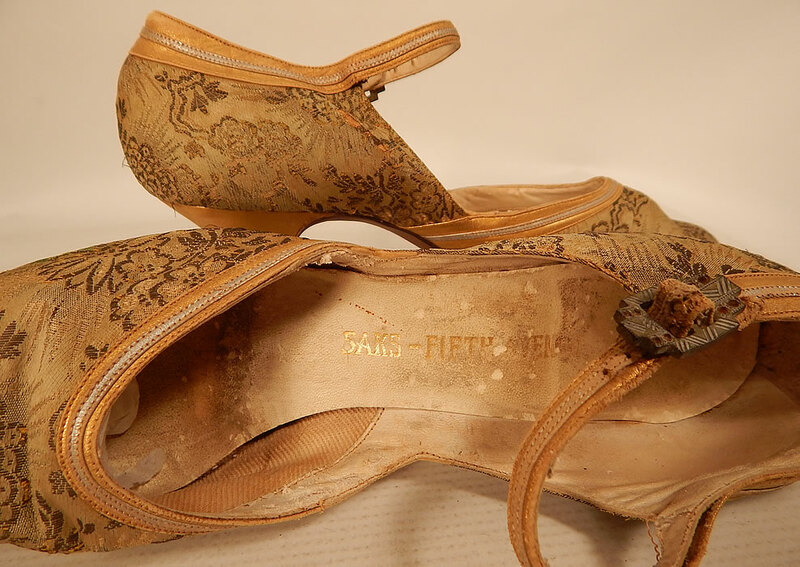 They have been gently worn and are in good as-is condition, with only some slight faint tarnish discoloration and a few tiny frays. 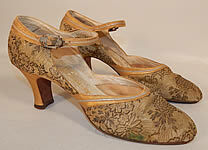 These are truly a wonderful quality made shoe and wearable Art Deco shoe art!